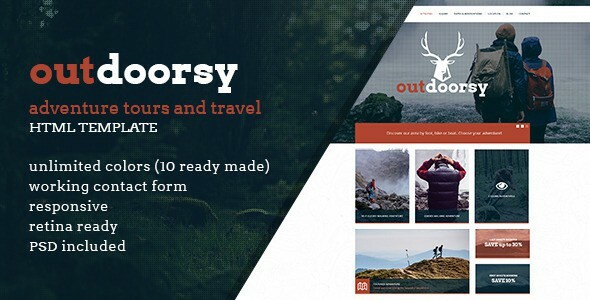 Outdoorsy is simple and modern one page template designed for all activity, sports, hiking or outdoor adventures. Create your online presence with our template and showcase your travel tours, display your rates and special offers, availabillity calendar, testimonials, Google map. 10 ready made color schemes! Item Reviewed: Outdoorsy Adventure Tours and Travel HTML Template 9 out of 10 based on 10 ratings. 9 user reviews.